History was made at Windsor Castle, home to the the English royal family for nearly 1,000 one thousand years. In a ceremony that followed every nuance of tradition -- the day proved to be unconventional, compelling, inclusive and modern. Prince Harry may never ascend to the throne, but that's given him the chance to be a royal true to himself -- and that's clearly an attribute not lost on Meghan Markle. There were some moments of drama leading up to the big day, but today, none of that seemed to matter. 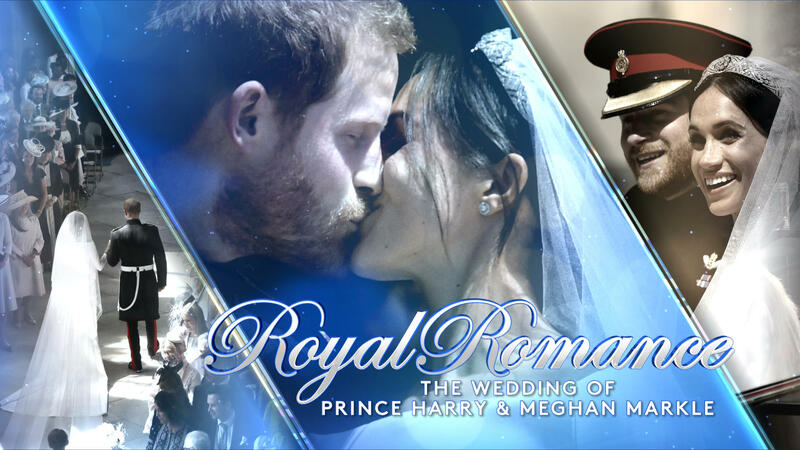 The royal wedding was a meticulously planned event, with split- second choreography -- every detail executed without a hitch as Harry and Meghan delicately and deliberately ushered the old House of Windsor into a new, progressive era. The town of Windsor, England was packed with well-wishers Saturday morning -- ground zero for the worldwide celebration heralding the marriage of Prince Harry and his American bride Meghan Markle. Prince Harry and Meghan Markle observed some long-held traditions in their wedding ceremony, but there were also a few transatlantic twists. It was the moment millions had been waiting for -- and it did not disappoint. Fashion experts weigh in on Markle's classic silk gown and other memorable moments from the royal wedding watched around the world . Follow the American actresses' journey from make-believe queen to a real-life member of Britain's royal family. Just after their wedding ceremony ended, the royal couple waved to fans from a 19th century British carriage. The newlyweds already seem like an eternal couple, yet Harry and Meghan have only known each other two years. Almost two years later after meeting her prince, Meghan Markle is now a member of the royal family and will soon become a British citizen. Yet it's one thing to study British culture and history for a citizenship test and quite another to learn all the strict rules of royal protocol. Duchess Meghan of Sussex is not just an unlikely figure in the British monarchy, but all of the United Kingdom. She's a biracial American, the daughter of a black woman and a white man. But that gives her an opportunity to change perceptions and attitudes about race and identity, especially for younger generations. Alexi Lubomirski, the high-fashion photographer who took Harry and Meghan's iconic engagement photos also took the couple's official wedding portraits. He just happens to be royalty,himself -- and so much more. Meghan Markle is officially the Duchess of Sussex -- but long before she walked down the aisle to marry her prince, she was already fashion royalty. According to former palace chef Darren McGrady, when Harry was a child his mother gave him some advice about love. "Do what your heart tells you", urged Diana. He has. So has Meghan. And that simple act of love has won them the affection of millions. Their epic romance seems to both begin and end with "Once upon a time..."